Panthers chief takes a swipe at riders who don’t want to ride! Thomas Jorgensen guests for Panthers again. Owner Ged Rathbone has taken a swipe at riders who don’t want to help out Peterborough Panthers in their hour of need tomorrow night (October 24). The city club travel to Rye House to face Lakeside in the second leg of their SGB Championship Shield semi-final (7.30pm). 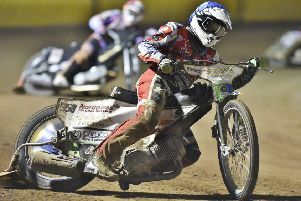 It represents a second chance for Panthers who were on the brink of defeat – trailing by 20 points on the night and 22 points on aggregate – when the second leg was abandoned last Sunday (October 21) due to floodlight failure. Those electrical issues now appear to have been rectified at the Hertfordshire venue but Panthers will again arrive with a severely depleted team which includes operating rider replacement at number one after being unable to secure the services of a suitable guest. 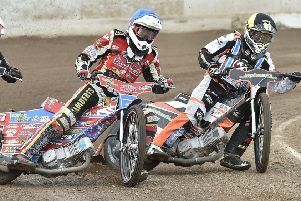 Panthers had hoped to call in either – or indeed both – Jason Garrity or Steve Worrall but were not granted permission to use them as their regular club, Scunthorpe, are involved in a cup final the following night. Regular stand-ins Thomas Jorgensen and Carl Wilkinson do both appear for Panthers again and Ash Morris, a Newcastle man who had a spell with the club in 2016, also comes into the main body of the side. Rathbone said: “I find it pretty sad that we have got to such an important stage of the season and no-one wants to ride. “I constantly hear stories of riders not earning enough money at this level, yet when the phone rings with an offer of potentially three guest bookings – if we get through to the final – they are not interested. “It’s not ideal that we are still racing at this stage of the year, but the season does run from March until the end of October so I find it strange that so many riders seem to have packed away and finished. “I can see where Scunthorpe are coming from with Steve and Jason, but it we took the same stance our season would have turned out very differently. “We’ve had rider after rider get injured riding elsewhere or guesting so maybe that’s something we – or indeed whoever is in control of Peterborough – needs to consider in the future. “But I am very grateful to the three guests who have agreed to ride for us and we’re all determined to make sure we put on a much better show than we did on Sunday. Ostergaard won’t be riding tonight after all! Ulrich Ostergaard has shaken off the illness which kept him out of the Sunday fixture. His return boosts the regular number of Panthers riders in their patched-up side to three along with Danish countryman Emil Grondal and skipper Simon Lambert. Lakeside are at full-strength as they bid to build on a 46-44 advantage from the first leg at Alwalton. PANTHERS: Rider replacement for Scott Nicholls, Emil Grondal, Ashley Morris (guest), Thomas Jorgensen (guest), Ulrich Ostergaard, Carl Wilkinson (guest), Simon Lambert.